Recently many Android users have been reporting an error named ”Unfortunately SuperSU has Stopped” with the root management app SuperSU. If you have a rooted Android device and facing an error similar to this, and looking a guide to fix this problem, then this guide will show you how to fix this problem with ease. SuperSU is a root management app that allows you to manage your Rooted Android smartphone. To be able to install SuperSu you should have a rooted Android smartphone. There are several benefits of installing SuperSU on your Android smartphone. 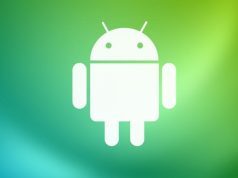 The biggest advantage is the ability to unroot rooted Android smartphone temporarily. Now coming to the topic, at times when you try to install SuperSU from the play store you may encounter an error ” Unfortunately SuperSU has stopped working”. This error can also occur if you have SuperSU already installed but get the error while trying to open the app. Irrespective of the situation, here is how you can fix “Unfortunately SuperSU has stopped working” error in Android. You just need to follow the below given easy steps correctly, and that’s it. You can solve the ”Unfortunately, SuperSU has Stopped” error successfully. First of all, you need to download the latest version of SuperUser APK from here. Once successfully downloaded, move the SuperUser apk file to your phone. Now go your device settings, select Security, and enable Unknown Sources. Now go the File Manager, find the downloaded SuperUser apk and install it on your Android device. Once successfully installed, go to Play store and search for SuperSU app and install it. Now you need to launch the SuperSU app; it will automatically prompt you to update the binary. That’s it. By following the above easy steps, you can easily get rid of the error ”Unfortunately, SuperSU has Stopped”. This method should work in most of the cases, but if this method was not a match for you, then we have an alternative method which you can give a try to fix this error. In Settings, scroll down and select Application Manager. Now go to All Apps. In All Apps, scroll down and select SuperSU app. Now you need to clear Data and Cache. See whether this method solves the error or not. This is all you can do to overcome the error ”Unfortunately SuperSU has Stopped”. Hope any one of the above methods will work for you. For any doubts or suggestions do let us know in the comments.